Mrs. Joyce Kirby Bush, age 88 of Franklin, KY, passed away Thursday, November 29, 2018 at 5:34 AM at the Hopkins Nursing and Rehab Facility in Woodburn, KY.
December 2, 2018 with burial to follow in the McKendree Chapel Church Cemetery in Simpson Co., KY.
Joyce was born December 20, 1929 in Portland, TN. to the late Guy Cook and the late Clara Gillihan Cook. She was the wife of the late John David Kirby and the late Oscar Powell Bush. She is survived by 2 sons David Kirby (Jeannie) and Daryll Kirby both of Franklin, KY, 2 brothers Jimmy Cook (Nell) and Ralph Cook (Mary) both of Portland, TN, 2 sisters Brenda Knight (Jimmy) and Jonell Carter (Charles) both of Franklin, KY, 2 step-daughters Carol Deeb (Mike) of Louisville, KY and Phyllis Grigsby (Freddy) of Leitchfield, KY, 6 grandchildren- Betsy Morgan (Jason), Jessica Pitts (Cory), Melissa Schmelhaus (Duane), Stephen Kirby (Hannah), Kansie Moody (Jody), Kalan Esters, 6 step grandchildren- Britney Stark, Stephanie Corus, Taylor Childers, Douglas Riggs, Tracy Bush, Christina Pendleton, 23 great grandchildren, and several great-great grandchildren. 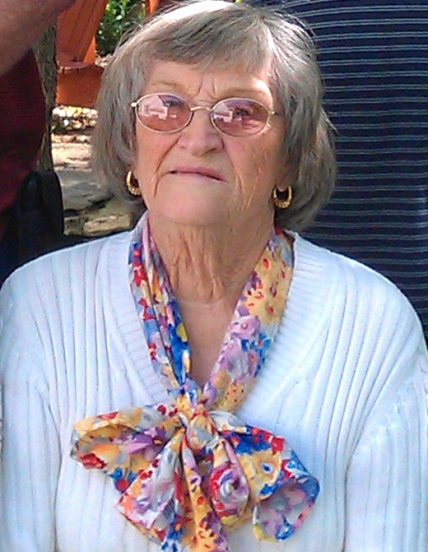 Joyce was a member of the Franklin Church of Christ and was retired from the Kendall Company. Joyce married John Kirby and raised 2 sons, then late in life she married Powell Bush and they shared nearly 25 years of dancing, camping, lake-living, and each other’s company until his death. She loved gardening, antiquing, sewing, cross-stitching, and crocheting. She taught ceramics in her home for many years. Her home and garden were her pride and joy, and for many years she displayed a Christmas tree in every room of her house. She loved working in her yard/garden whenever possible, even if it meant just pulling weeds for hours at a time. She enjoyed family meals and loved to cook for her children and grandchildren. Visitation will be from 1:00 PM until 8:00 PM Saturday, December 1, 2018 and from 6:00 AM until service time on Sunday at Gilbert Funeral Home.